German duo Gernot Bronsert and Sebastian Szary have been making playful, bassy music as Modeselektor since the early 2000s, and must rank as one of the country’s most celebrated electronic acts still at large today. Modeselektor’s tastes were forged in Berlin’s exploding electronic music scene after the fall of the wall, with Bronsert and Szary meeting in the early ‘90s at one of the city’s illegal raves. Though they began producing under the pseudonym Fundamental Knowledge and became Modeselektor in 1996 it was from 2002 onwards, and the release of their first single Death Medley that the group’s reputation began to solidify. Here and on subsequent singles like In Loving Memory, Modeselektor announced themselves as an outfit able to make the high-tech sounds found on “glitch” imprints like Mille Plateaux speak to a wider audience. Their use of heavy bass and strong melodic lines made for club music which was, for all its technical skill, fun and approachable. 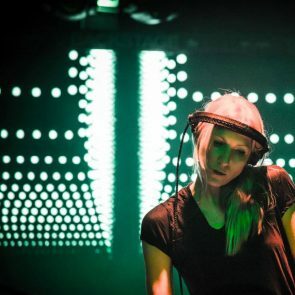 The duo have had a formidable and lasting relationship with Ellen Allien’s B-Pitch Control imprint, which released their first two albums Hello Mom! and Happy Birthday! in 2005 and 2007 respectively. But their own Monkeytown label has been the main output for their work since its founding in 2009, with the duo’s third album taking the imprint’s name as its title, and being released on it in 2011. 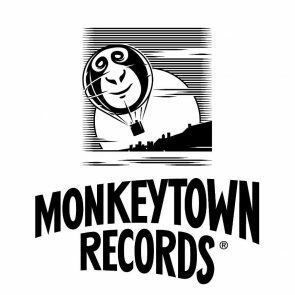 Monkeytown once again evidenced Bronsert and Szary’s ability to focus eclectic influences from dubstep to techno into their own high-octane, wacky sound, and included numerous collaborations, notably “Shipwreck”, which included vocals from Radiohead’s Thom Yorke. Modeselektor have continued to pursue unusual collaborations throughout their career, penning remixes for Bjork and Yorke, and making the sublime “Let Your Love Grow” with Rhythm & Sound’s Paul St Hilaire for Happy Birthday! But their most prominent collaborative project to date remains Moderat, a trio made up of Bronsert, Szary, and Sascha Ring AKA Apparat. 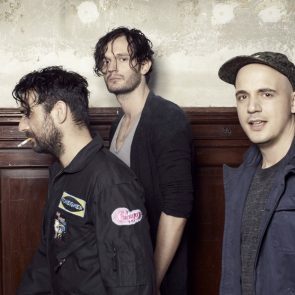 Moderat have released albums in 2009 and 2013 on B-Pitch Control and Monkeytown respectively, and toured extensively, including an international support slot for Radiohead. It is this live show, coupled with distinctive visuals by long-time collaborators Pfadfinderei, which promises to keep Modeselektor’s ambitious music moving ever further away from electronic connoisseurs and towards a larger audience. As curators, they continue to impress with Monkeytown sub-label 50 Weapons, which has released electronic luminaries such as Shed and Addison Groove. Giorgio Moroder and the Pet Shop Boys made it to the semifinals, and it's up to you who moves on to the final fight. Will electronic pop legends the Pet Shop Boys dominate contemporary German champions Modeselektor in the first battle of round two? You decide. For our third festival of the season, we brought Dizzee Rascal, Modeselektor, and Hundreds to Poznań, Poland. The EB team was there to report. You can win free tickets to our festival in Poznań, Poland on April 26th with Dizzee Rascal, Modeselektor, A-Trak, and Hundreds. Enter our giveaway for a chance to win tickets to the world premiere of the new Modeselektor documentary We Are Modeselektor in Berlin. Unfortunately, Electronic Beats and the management of DJ A-Track have to cancel today’s performance at the Electronic Beats Festival by Deutsche Telekom.